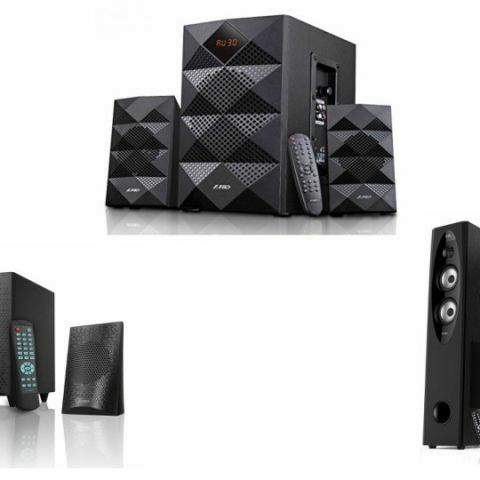 Today, Amazon is offering a considerable amount of discount on various type of speakers. The products we have in this list include Bluetooth speakers, 2.1 channel and Multimedia speakers as well. Whether you’re looking for a device to enhance your TV's output or a portable speaker to listen to your favorite tracks on the go, we're here to point out some of the best deals currently available on Amazon. Most of the products we have covered in this list range from Rs 1,000 to Rs 2,000. The boAt Stone 260 is an IPX5 certified, waterproof and shockproof Bluetooth speaker. The device features a 1000mAh battery, which as per the company can deliver four to five hours of audio playback. Click here to buy. The F&D F210X 2.1 Channel speakers feature Bluetooth 4.1 connectivity and comes with a 4-inch subwoofer. The music system is also equipped with a USB card reader slot, which supports MP3/WMA format. It also has a built-in FM that can store up to 100 plus radio stations. The device comes with a fully functional remote to manage volume and audio tracks. Click here to buy. The X-Mini Portable Bluetooth speaker comes with a built-in microphone that lets you answer calls when the phone is connected to the speaker. As per the company, this compact device is able to provide up to six hours of music playback with one single charge. Click here to buy. The F&D A180X is Bluetooth speaker that allows you to stream music wirelessly. Besides the regular Bluetooth streaming, users can play music via AUX or USB port as well. It also features an LED display and an FM radio. Click here to buy. The X-Mini Click 2 is a compact Bluetooth speaker which features a built-in microphone for answering calls. As per the company, the speaker can provide up to 6 hours of continuous music streaming. Click here to buy. The F&D T60 Bluetooth Speaker comes with a 4-inch tweeter and an 8-inch subwoofer for each channel. It can also be connected to compatible devices via an AUX cable. The speaker is equipped with FM radio and four control buttons to scan radio channels, control volume and to turn on Bluetooth. Click here to buy.